The annual Jim and Tabitha Furyk Foundation Help for the Holidays was a big success. 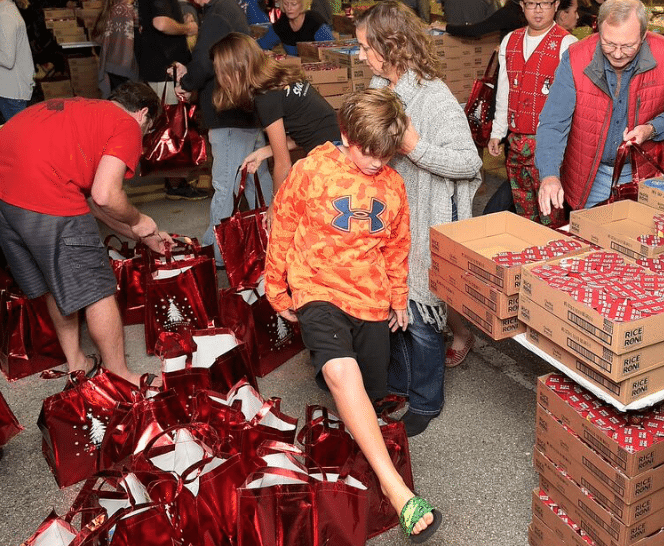 Over 200 hundred people came out on Thursday night, December10 to pack 3000 bags of food for children in the Blessings in a Backpack program. Colorful red reusable grocery bags were filled with food donations from the Jim and Tabitha Furyk Foundation, PepsiCo, Publix, Trader Joes and Native Sun. For more information about the charities or the event check out the foundation details here: www.jimandtabithafurykfoundation.com.